This turned out way better than I thought! 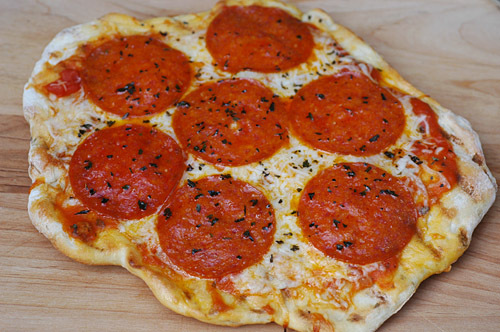 Wolfgang Puck's Pizza Dough, grill on one side, flip, add your toppings and let melt and bubble. Yum! Next time fresh basil, goat cheese and caramelized onions.